Candidates who are having three years Degree/ Diploma Holder in Hotel Management and Catering Technology from a Government recognized Institute will be given preference. Female - Minimum 154.5 cms . 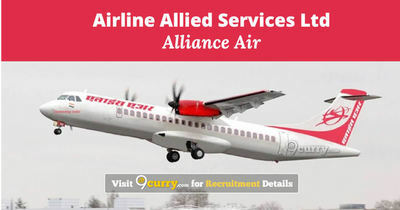 Eligible candidates may apply online at Airline Allied Services Ltd's website (direct link is given below) from 27 Mar 2019 to 19 Apr 2019.